Fall is my favorite time of year. It’s filled with the best flavors and colors. I love the harvest, the cuisines, and all of its sights and smells. What I don’t like about fall is the impending cold weather… and all that comes with it. ‘Tis the season for the sniffles, and the best defense might just come from good gut health. Yes! Research is now showing that good gut health might actually enhance the immune system. Therefore, to keep myself healthy this time of year, I like making recipes that boost my gut function. Probiotics, here I come! 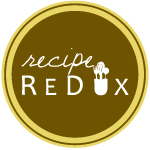 This recipe uses a special probiotic known as kefir. Kefir is such a versatile ingredient. You can eat it plain, use it to make smoothies, or bake with it! I know what you’re thinking- what the heck is kefir? Kefir an amazingly tart dairy treat that resembles drinkable yogurt. The difference with kefir lies in its starter culture, which is known as kefir grains. Kefir grains are clumps of yeast and bacteria that live in perfect harmony. When added to milk, kefir grains digest lactose (milk sugar) and produce acid that contributes to its tart taste. The bacteria in the kefir grains thicken the milk by coagulating the milk proteins. Bubbles also become present through yeast fermentation, or the production of carbon dioxide and alcohol from the breakdown of sugar. Kefir, like yogurt, is full of probiotics that aid digestion by repopulating the intestines with beneficial bacteria. Kefir has been studied for its antimicrobial and anti-cancer qualities. It has been seen to regulate the effects of lactose intolerance, as well as control blood sugar and high cholesterol. Kefir also contains a lot of protein, vitamins, and minerals that aid immune function. Kefir and yogurt can be used to replace butter and fats in recipes. The proteins in the dairy ingredients serve as great thickeners, and the liquid content of the kefir and yogurt contributes to the moistness of the baked good. The wetness of kefir and yogurt prevents a 1:1 replacement for butter and oil in recipes. A decrease in liquid contents or increase in dry ingredients is usually needed to make this switch. This recipe is a probiotic-ally delicious treat that’s sure to make your tummy happy in more ways than one. 2. Mix the light brown sugar and coconut oil in a large bowl. 3. Add the eggs, one at a time, and completely incorporate them into the sugar and oil. Then mix in the kefir. 4. Stir in the baking soda. Then add all of the flour, 1/2 cup at a time to prevent loss from mixing. Start with the all-purpose flour, and then move onto the whole wheat flour. 5. Stir the blueberries and chocolate chips into the batter until they are fully incorporated. 6. Line 1 1/2 cupcake tins (about 15 slots) with cupcake liners. Grease the inside of the liners with a little oil, butter, or cooking spray. 7. Fill up the cupcake liners almost to the top. Check the muffins around 15 minutes to see their progress. If the tops of the muffins still feel too squishy, then leave them in for another 5 to 10 minutes or so. The muffins are finished when an inserted knife can be cleanly removed from the center of the muffins. 8. Let the muffins cool for at least 10 minutes when they’re out of the oven. Enjoy your boost of gut health. My batter wasn’t runny at all. In fact, it was so stiff I had to add more kefir. Is the 3/4 cup a typo? Hi Rochelle, thank you for your comment. This was not a typo. I’m sorry your batter was too thick! I will make another batch and get back to you, to see if I can make any changes that will improve your results.